Our Multi Colored LED G50 Globe bulbs are made with 5 LED's that are perfect for replacing old inefficient 7 watt incandescent intermediate base bulbs. 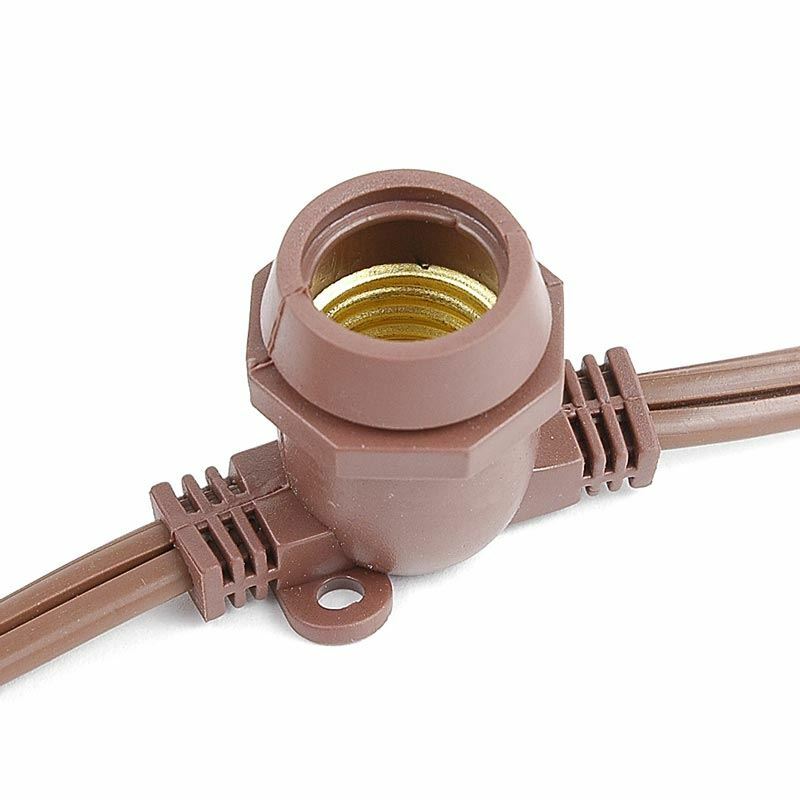 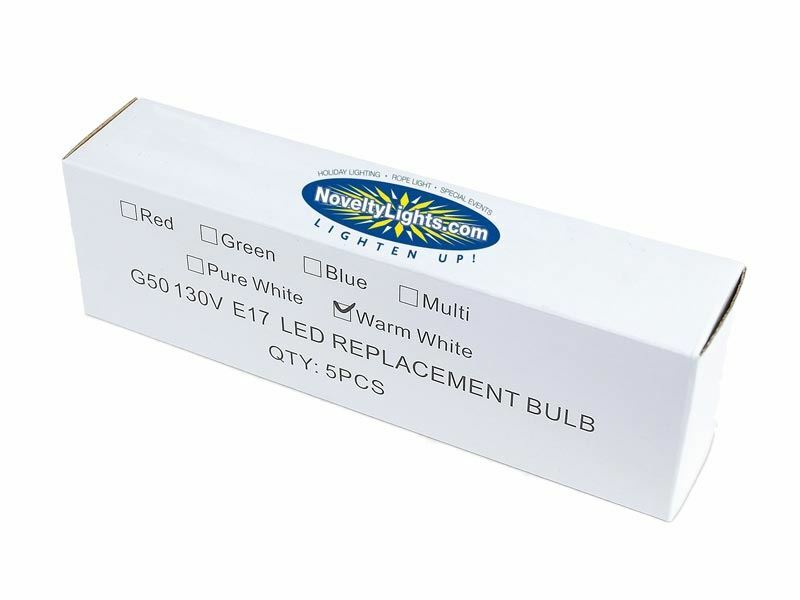 These replacement bulbs will still work great (using 1/10th the energy) at your bar, restaurant, beer garden, or outdoor patio living area. 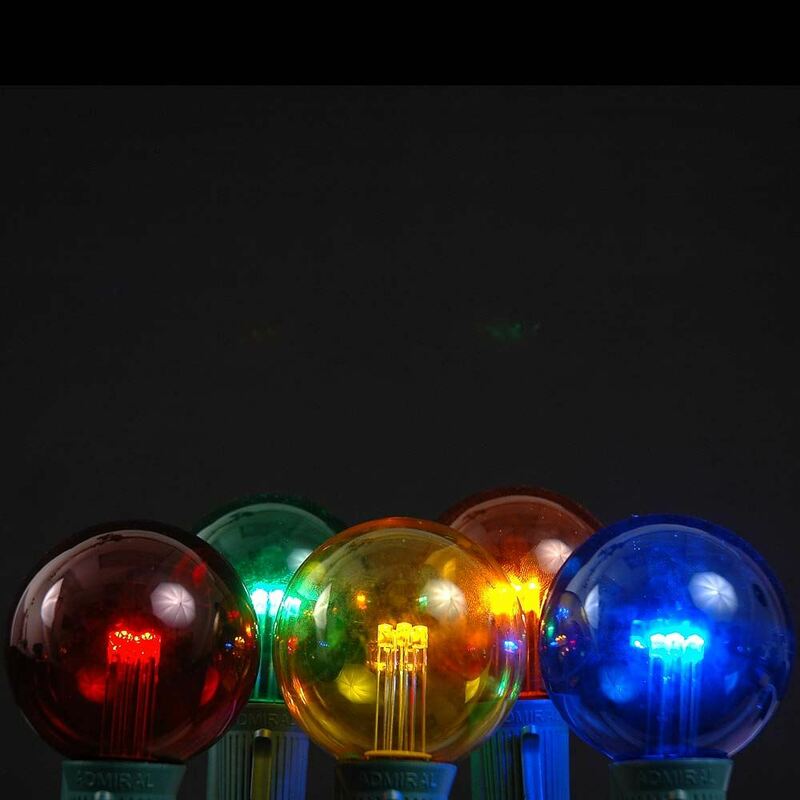 These multi colored E17 LED G50 bulbs use only .75 watts per bulb and have a 40,000 hour bulb life making these perfect for permanent applications using our E17 Commercial Grade Outdoor stringers, C9 stringers, or E17 Vintage Twisted Wire Strings with Bakelight Sockets. 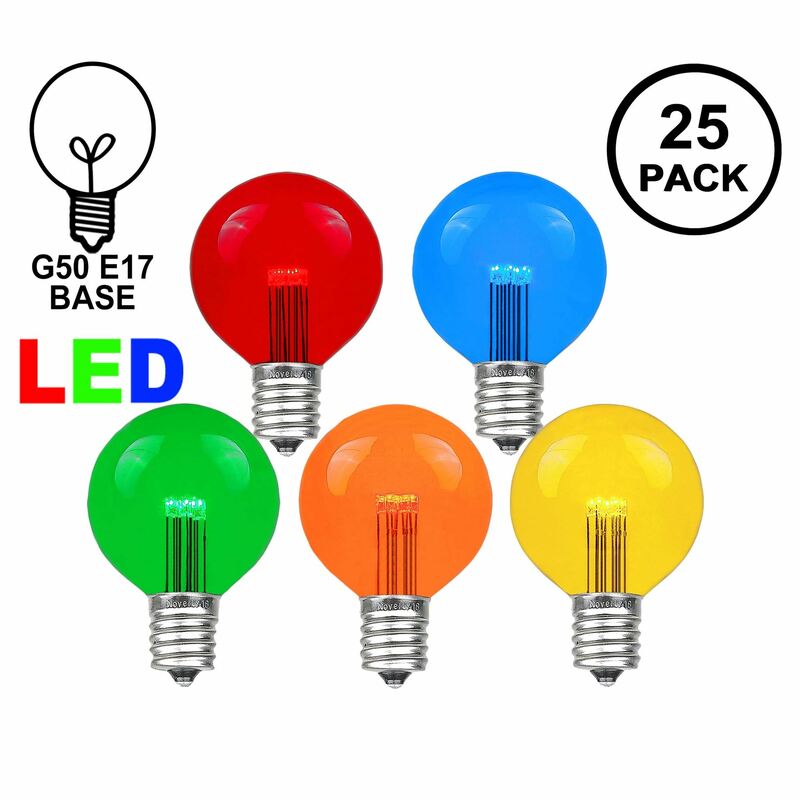 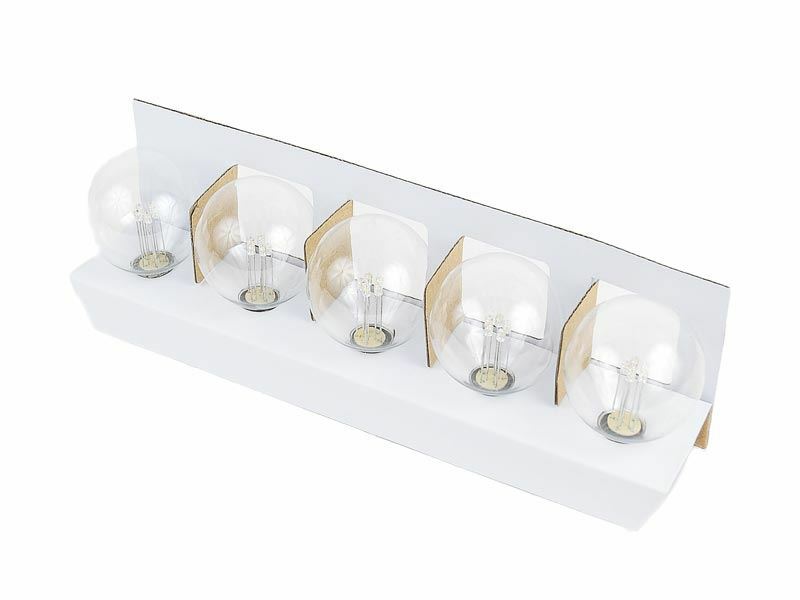 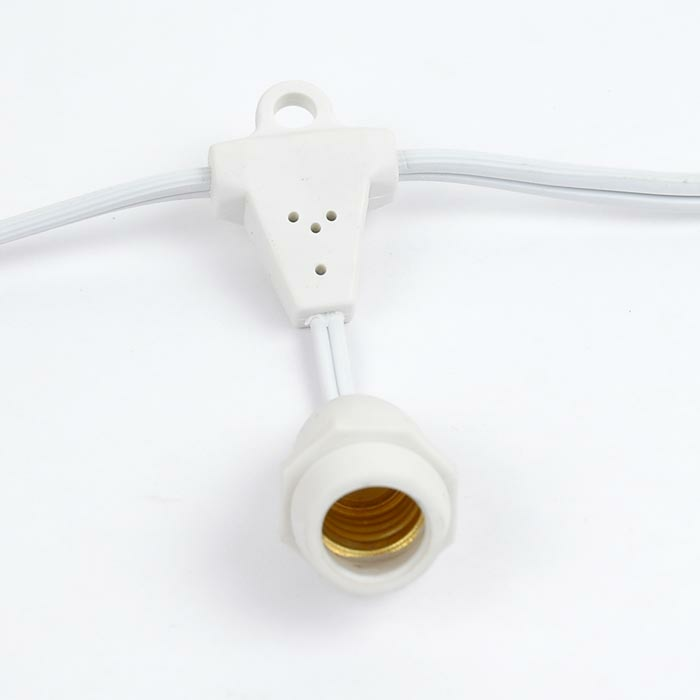 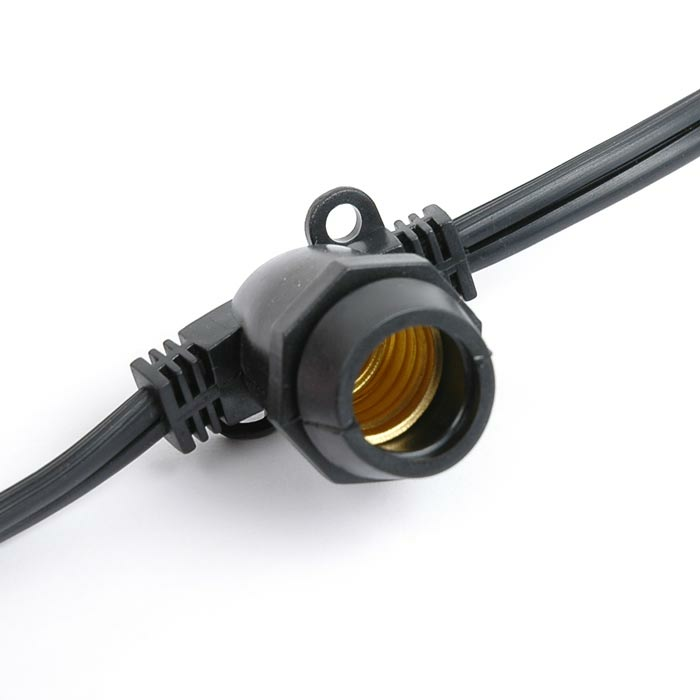 These LED bulbs are glass, therefore, they will not fade and discolor like plastic LED G50 replacement lamps. 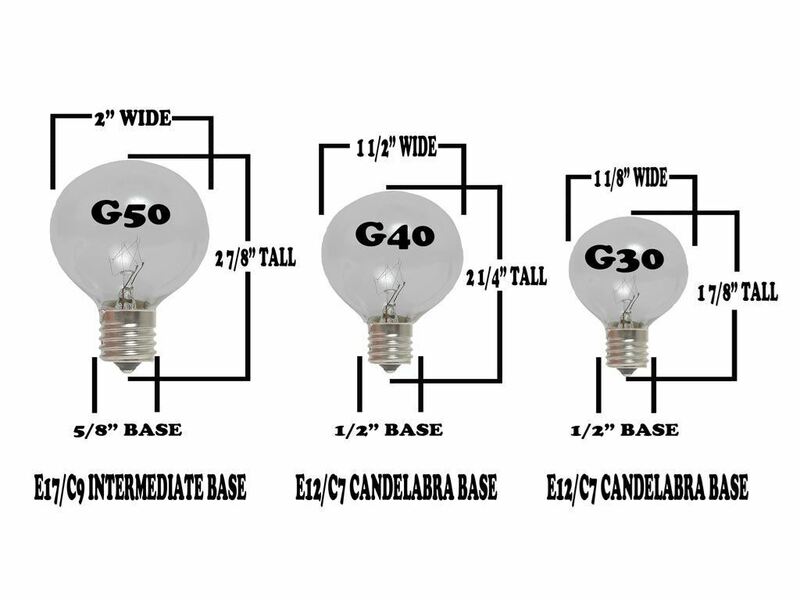 Save a good amount of money on your electric bill by using these energy efficient G50 bulbs. 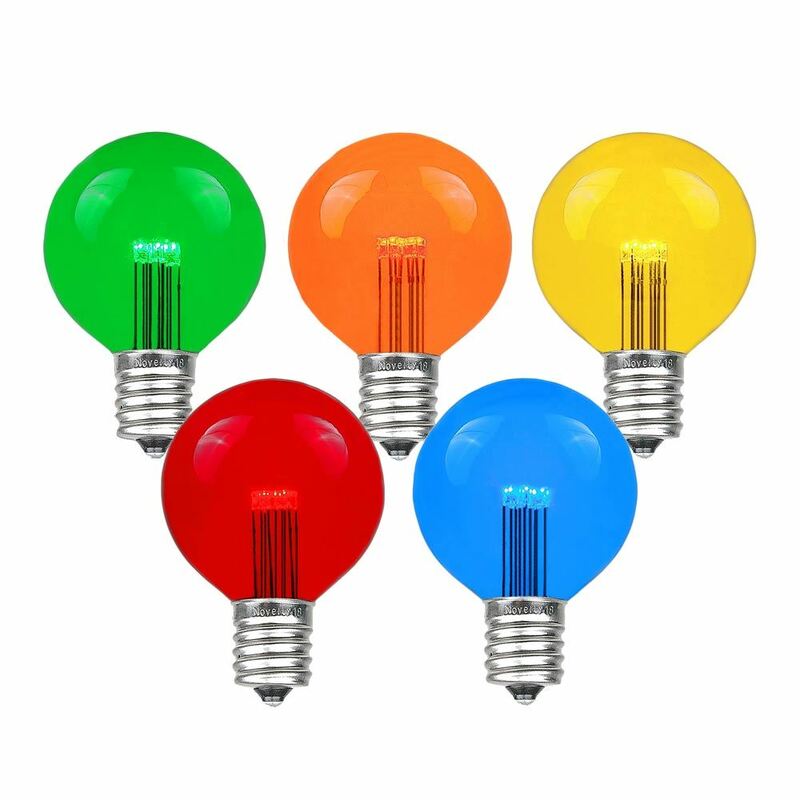 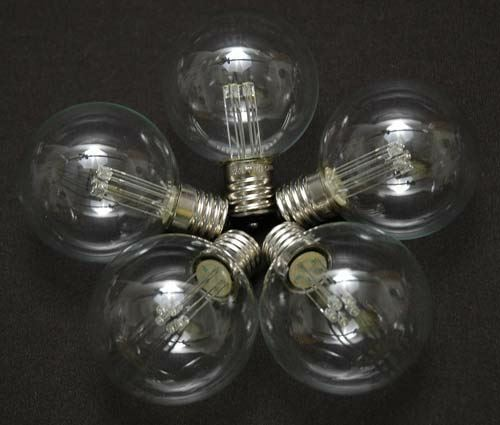 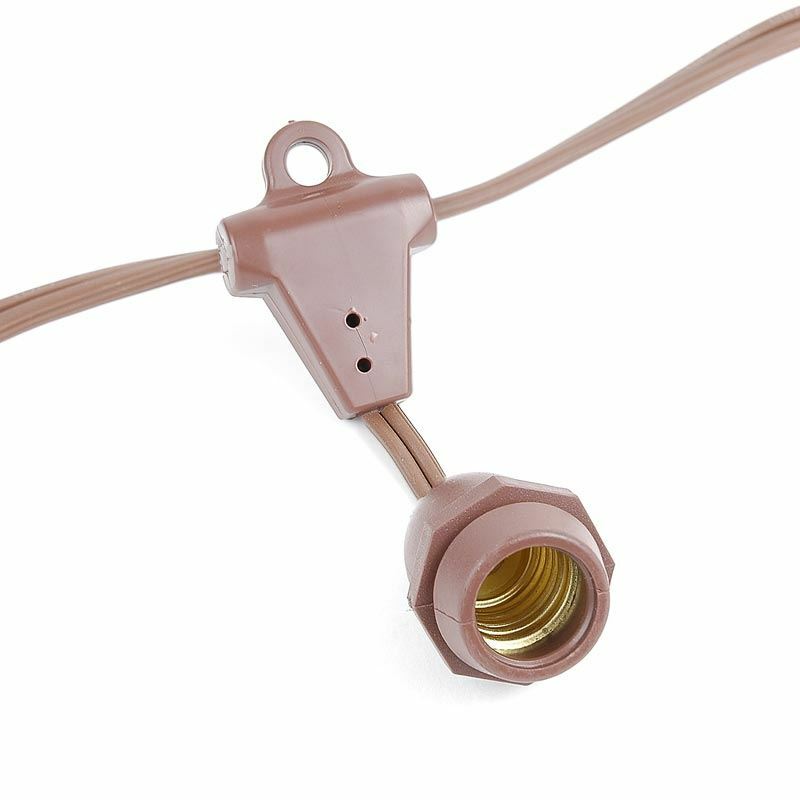 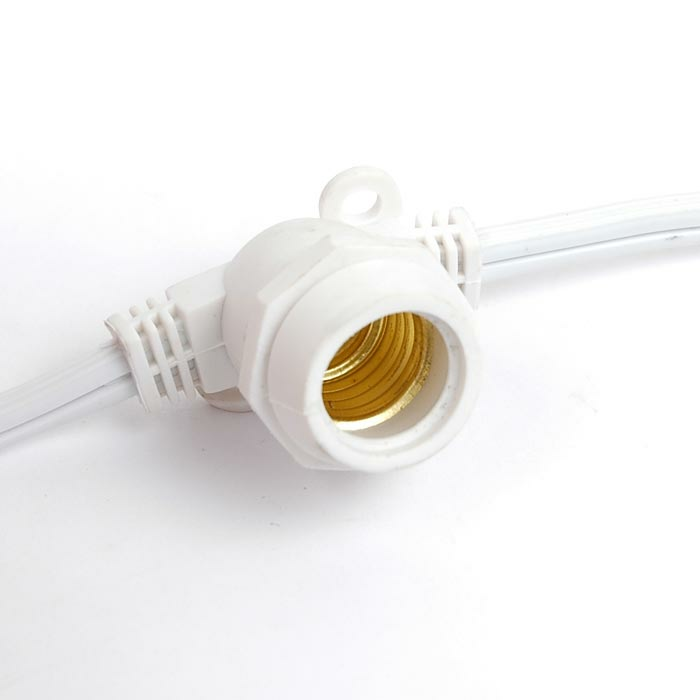 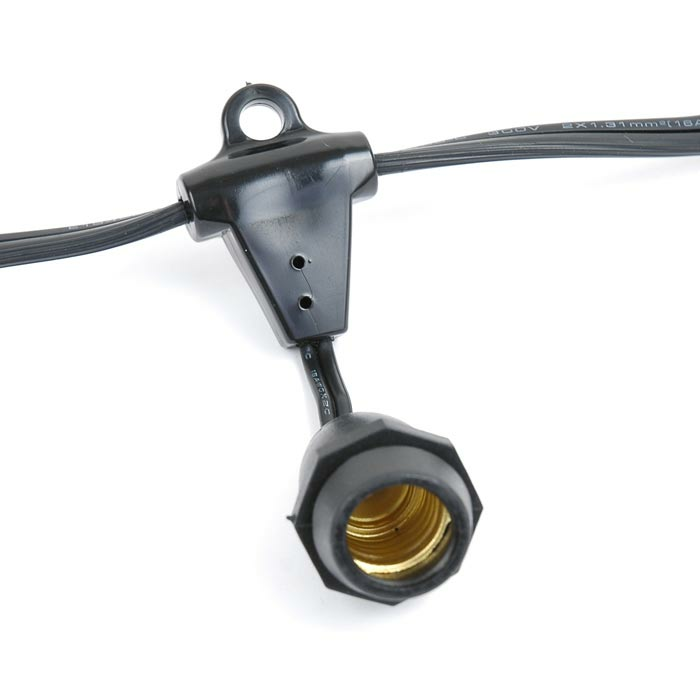 Our bulbs are sold in packs with 5 bulbs and are made for indoor and outdoor use.